Latest News - Peak Development Ltd.
Norman Joseph Woodland, co-creator of the modern barcode, has died at his home in New Jersey at the age of 91. In the 1940s, Woodland worked with his University classmate Bernard Silver to create the iconic thick and thin barcode line system. The patent for the system was later sold for a mere $15,000 (£9,300). Today devices like our Socket Mobile range of Data Collection products use Woodland's invention to collect data from more than five billion barcodes each and every day. In 2011 both Woodland and Silver were inducted into the US's National Inventors Hall of Fame. The staff at Peak Development would like to thank all of our customers and suppliers for their support during 2012. 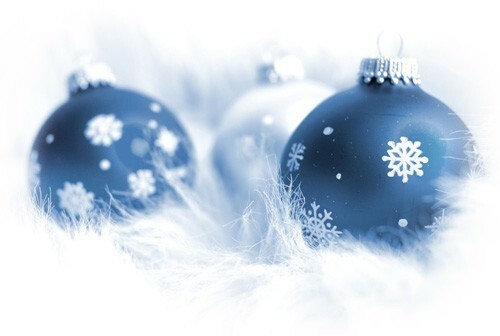 Our offices will close for the Festive Season at 1PM on Christmas Eve (Monday the 24th December) and will reopen at 9AM on Wednesday 2nd January. The last collection date for UK mainland guaranteed pre-Christmas delivery (next day DPD) will be Friday 21st of December for delivery on Monday the 24th of December. There will be no collections on Monday the 24th December. Please ensure that all international orders are placed before Wednesday the 19th as local bank holiday variations may cause further disruptions. Normal service will resume when we re-open on Wednesday 2nd January. Upgrade to a SoMo 655 and SAVE! 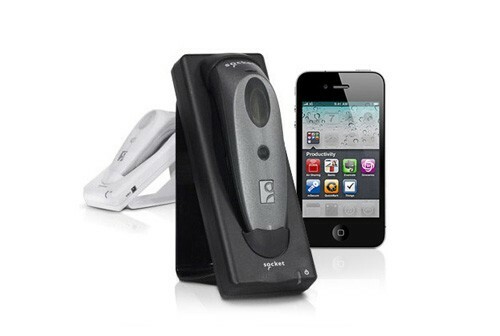 Socket Mobile Adds Apple iPhone 5 Support to Cordless Hand Scanner. Socket Mobile have announced iPhone 5 support for the Socket Bluetooth Cordless Hand Scanner (CHS) line of portable barcode scanners. 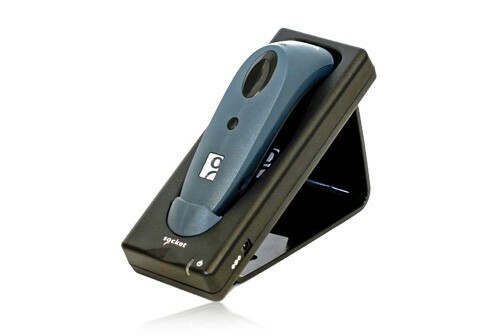 The CHS is a pocket-sized barcode scanner that enables ultrafast, untethered data collection in applications such as retail point of sale, asset tracking, inventory management and field service. Socket Mobile has updated the SocketScan 10 Software Development Kit (SDK) to take full advantage of the new A6 processor and taller screen of the iPhone 5. The ScannerSettings and SocketPad utilities for the CHS have also been updated on the Apple App Store with iPhone 5 and iPad mini support. On 6th December, the SA Agulhas will set off from London on what will be the start of the world's first ever attempt to cross the Antarctic in winter. The 2000-mile journey across the continent has for many years been considered too perilous to try and the expedition's six-man "Ice Team" - led by Sir Ranulph Fiennes - will have to overcome one of earth's most hostile environments if they are to succeed, exposing themselves to temperatures dropping close to -90c and operating in near permanent darkness. 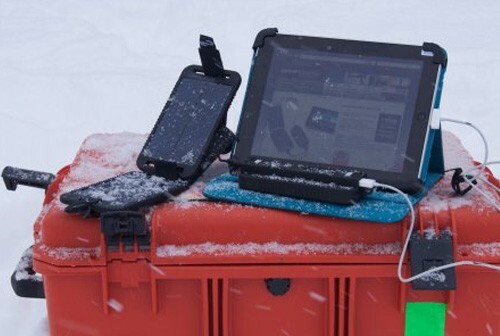 Powertraveller has provided Sir Ranulph Fiennes and his team with a suite of powergorillas, giving them the back up power they will need to power all their gear; from heated suits, to GPS and sat phones to their radio transceiver. Powertraveller has developed new cables and connectors especially for the expedition to make sure that everything is as efficient and simple as possible. The team will be taking 6 Powergorillas with them and a hand crank, ensuring that they can keep everything powered throughout the trip. 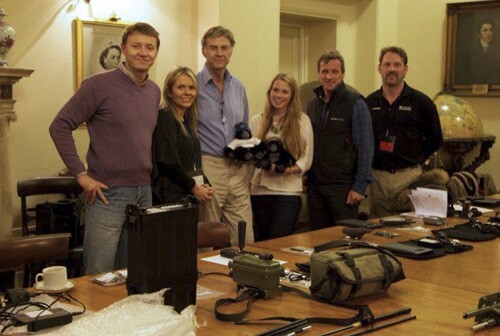 The picture is from a training day at the Royal Geographical Society where members of the Powertraveller team explained to Sir Ranulph how the Powertraveller products will keep all the equipment charged during the expedition. Apple have sent out invitations for a press launch on Tuesday October 23rd at the California Theatre in San Jose. The invitations had a single tagline, "We've got a little more to show you." It is expected to be the launch event for several new products including the much-rumoured 7.85" iPad Mini, as well as a newly updated full sized iPad, a 13-inch MacBook Pro with Retina Display, and a completely redesigned iMac. The Peak Development team will once again be exhibiting at the Retail Imaging Show - the number one UK trade event for photo, minilab, consumer electronics, IT and AV retailers. This year's event will be held at the prestigious Mercedes-Benz World in Weybridge on the 12th October. Visit the Peak Development stand as we present the latest memory innovations from SanDisk. Register for the SanDisk Official Photo Partner programme and receive benefits and discounts of up to 10% off SanDisk performance cards. Discover our other exciting brands including Powertraveller, Overboard, Optrix HD and Veho. If you're interested in getting hold of tickets, get in touch now! SanDisk Corporation, a global leader in flash memory storage solutions, today announced that it is developing flash memory cards based on the new CFast2.0 specification introduced today by the CompactFlash Association (CFA). The new specification enables next-generation photo and video applications by delivering up to four times faster performance than the CompactFlash memory cards currently used in DSLR cameras and other imaging devices. "CFast2.0 memory cards will help drive the future of professional photography and video-recording applications," said Shuki Nir, senior vice president and general manager, Retail, SanDisk. "With the CFast2.0 specification's unparalleled performance, flash memory can now enter new markets such as high-definition TV and even cinema production." Professional video applications are growing more powerful than ever before, with 2K video enjoying widespread use and full-frame 4K video already gaining adoption in high-end production environments. These next-generation video applications can produce videos with incredibly high resolutions and large file sizes. The CFast2.0 specification supports advanced video applications through higher interface bandwidth and much higher levels of Video Performance Guarantee to meet the requirements of 2K/4K digital intermediate compressed production environments. "Professional photographers, videographers and cinematographers demand increasingly powerful cameras that help them unleash their creativity," said Masaya Maeda, managing director and chief executive, image communication products operations, Canon. "With extremely fast performance, CFast2.0 memory cards will enable us to develop next-generation cameras with more powerful features than are currently supported by CompactFlash cards." Digital cameras are expected to become more powerful, with the ability to capture images at greater than 40MP resolution. These next-generation cameras will produce photos of unprecedented quality, and the large file sizes can quickly overwhelm a CompactFlash memory card's data-transfer rates and halt shooting. The CFast2.0 specification features theoretical performance of up to 600MB/sec, four times faster than the highest-performance CompactFlash memory cards. The new specification delivers the fast speed needed to capture a series of high-resolution photos and transfer them quickly to a computer, particularly important to professional photographers whose workflows demand the utmost efficiency. "PhaseOne believes in open standards where many players have access to the technologies required to create a healthy ecosystem and drive the future of imaging," said Henrik Håkonsson, chief executive officer, PhaseOne, a leading medium format camera manufacturer. "We intend to integrate CFast2.0 memory cards into our new cameras because they offer significantly higher recording performance and faster offload speeds than other memory card formats." 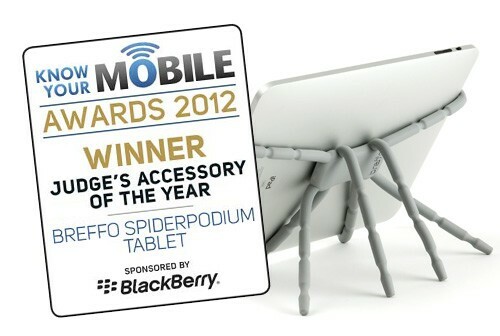 The Breffo Spiderpodium Tablet has won the 2012 Know Your Mobile Award for Accessory of the Year. Judges described the Spiderpodium as providing ‘A simple, strong grip for your tablet – and a sure talking point.’ The Spiderpodium gets its name from its eight flexible legs which allow it to accommodate virtually any tablet on the market and to be twisted into any position you need for setting your device to face any angle. Since 1994, Peak Development has worked closely with SanDisk Corporation, the global pioneer of flash memory. On the 25th Anniversary of the invention of flash memory, SanDisk President Sanjay Mehrotra has today issued the following statement. Today, we are celebrating the 25-year anniversary of flash memory, the transformational technology used by billions of consumers and countless businesses around the globe. Looking back, it’s amazing to see how in just 25 years, flash memory has reshaped the consumer electronics industry. We see flash continuing to play a substantial role in transforming markets, including the enterprise and cloud segments. Flash technology has become pervasive; Flash is truly everywhere. At SanDisk, we are proud of the role we’ve played in advancing flash technology over the decades and in extending its benefits to our valued customers and partners. I am pleased to announce that Eli Harari, our co-founder and retired CEO, received the prestigious Milestone recognition from the IEEE for developing floating gate EEPROM technology. But, while we started SanDisk in 1988 with the belief that flash memory would enable new devices and enrich people’s lives, Eli, Jack and I really had no idea the impact it would have. These achievements would not have been possible without dedicated support from employees, investors, partners and customers. Therefore, on behalf of all of SanDisk, I want to thank you, and take a moment to highlight why this 25-year milestone is so important to us. Because of the dedicated efforts of companies such as SanDisk, flash technology has scaled tremendously over time. Capacity has increased by 30,000 times while cost has decreased by 50,000 times over the past two decades. SanDisk’s first product, a 20MB solid state drive (SSD), which sold for $1,000 in 1991, would cost only two cents today. This example underscores how an unrelenting focus on leading-edge research and development can bring tremendous benefits to an entire ecosystem. In 2012, individuals will create and consume 2.7 zettabytes (ZB) of digital content such as movies, music, documents and other data, according to research firm IDC. This represents 20 times more digital content compared to 2005. However, the information explosion has only just begun. Within three years, the universe of digital content is projected to nearly triple to 8ZB, according to IDC. Servers are increasingly storing and distributing this massive amount of information via social networks, business databases, streaming video services and other cloud-based applications. As digital content proliferates, IT organizations are equipping themselves with next-generation flash-based servers capable of handling the rapidly increasing demands for fast access to more data. Sales of smartphones and tablets using embedded flash memory chips are booming, and ultra-thin laptops using flash-based SSDs are redefining the notebook category. Because of flash memory, these devices are highly responsive and offer a more enjoyable experience in smaller, lighter and more durable form factors. At SanDisk, we call the confluence of these trends – anywhere, anytime access to more data – the smart digital lifestyle, and we are proud of playing a central role in its progression.. Despite the significant progress the flash industry has made over 25 years, the need for more innovation is never ending. Therefore, we are helping shape the future with research into advanced, next-generation solutions that will complement and eventually replace conventional flash memory. In the meantime, flash continues to scale to new technology nodes and we are excited about its potential in the years to come. This week, our focus is on celebrating the anniversary of the invention of flash memory. The benefits the technology has brought to the world have been tremendous and ongoing innovation will continue to enable new markets and new solutions. We look forward to continuing our work and partnering with you in the years ahead. 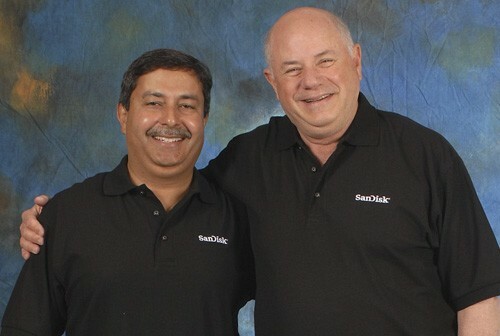 image: current SanDisk president Sanjay Mehrotra (left) photographed with founder, chairman and CEO Dr. Eli Harari (right) on the occasion of Dr. Harari's retirement in 2010. OFFER EXTENDED UNTIL THE END OF SEPTEMBER 2012: Increase productivity for mobile workers, improve visibilty in the field, and automate manual processes anywhere with the Socket Somo 650. From now until the end of September - or while stocks last - Socket Mobile are offering a €20 instant rebate on all SoMo 650 models. 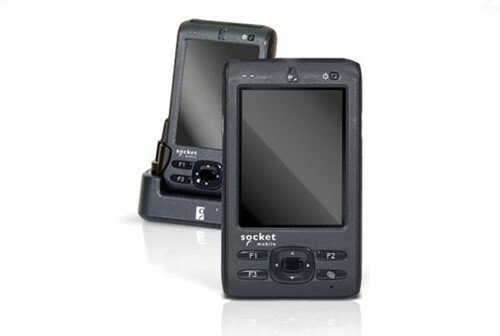 The Socket SoMo 650 is a durable handheld computer packed with power and speed to provide reliable performance in demanding business applications. It's the ideal replacement for the HP iPAQ 210 series Pocket PC. SanDisk have announced the acquisition of Schooner Information Technology, Inc., an enterprise software company located in Silicon Valley that develops flash-optimised database and data store solutions. Schooner’s products complement SanDisk’s growing portfolio of enterprise solid state disk (SSD) and flash-optimised software offerings that enable customers to accelerate the performance of data-intensive applications and reduce overall cost of ownership. Schooner’s team of database and flash optimisation experts have joined SanDisk’s Enterprise Storage Solutions (ESS) team. The Socket SoMo 655 Handheld Computer is here! First stocks of the SoMo 655Rx Antimicrobial have arrived today at Peak. Other new models such as the SoMo 655 (Standard) and SoMo 655DXS (No Radio) are expected to arrive in the next few weeks. The SoMo 655Rx is the hospital-grade version of the NEW Socket Mobile SoMo 655 handheld computer range and has been made with antimicrobial materials that provide an extra layer of protection against the multiplication and spread of potentially harmful bacteria and microbes. New features across the SoMo 655 range include: MicroSD and CompactFlash (CF) Expansion Slots, 802.11 b/g/n Wi-Fi, Programmable Side and Face Buttons, Navigation Keys for business specific functions, Windows Embedded Handheld 6.5, 4GB Flash Memory. 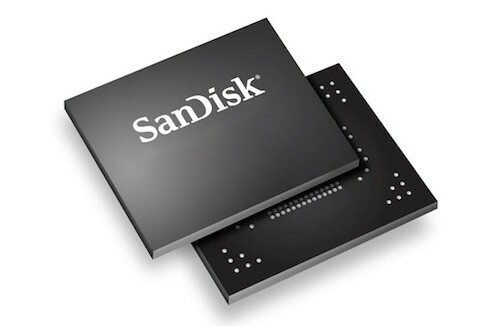 SanDisk anounces "World's fastest mobile memory card"
SanDisk have announced the world's fastest mobile memory card. The SanDisk Extreme Pro microSDHC UHS-I card is ideal for smartphone and tablet users who want to boost their device's storage capacity while enjoying the fastest mobile experience. We'll get you all the information as soon as it's available. Maximum Performance for Next-Generation Mobile Devices The SanDisk Extreme Pro microSDHC UHS-I card enables smartphone and tablet users to fully enjoy their mobile device's advanced applications. Full HD Video Capture Mobile phones will capture approximately one third of all video footage by 2014, according to IDC3. With a UHS Speed Class 1 rating (Class 10 equivalent), the new card allows consumers to record superior Full HD videos, even in 3D. High-Quality Photo Capture Mobile phones will capture 525 billion photos in 2012, roughly half of all photos captured this year, according to IDC4. The card is ideal for mobile imaging applications, offering up to 90MB/sec write speed for capturing multiple photos using burst mode with a UHS-I enabled mobile device. Faster File Transfers With up to 95 megabyte per second (MB/sec) read speed, the card moves files quickly between host devices Seamless Multitasking; Fast Downloads: The card allows consumers to smoothly run multiple applications at the same time and download files quickly using 4G LTE phones. powergorilla Performed very well in extremes of temperature, even down to -12 degrees! The product performed excellently and the multi-variable output voltage was a great feature, as was the ability to charge via the USB. We used one [powergorilla] to power the laptop and another to power the BGAN satellite uplink - both gave ample power and outstanding operational times. Using the two powegorillas together gave us enough power flexibility to go "live" from anywhere. powermonkey extreme Brilliant and the perfect size to power our iPads, as well as recharging BlackBerrys and iPhones. It gave outstanding performance every time, with a very long life, nice clear display and the tough on/off feature was excellent. The solar charger also performed well and certainly better than rival products under the same environmental constraints. A great product that just kept on giving power, I don't think we actually ever managed to drain it! Perfect for any use away from mains power and a great, handy size. powermonkey explorer A perfect little pebble-sized power pack which survived some very tough environmental and handling conditions - and once again we never actually managed to drain it in use! So many uses, both as a conventional power booster, and as a (very) handy back-up, it takes up so little space, it was just perfect pocket sized. solarmonkey & solarnut We simply left the solarmonkey hanging all day in the sunshine and it was fully charged. Tied to a backpack whilst walking, it was always trickle-charging (even in very low light, snow conditions), unobtrusive, but always boosting power. lightmonkey The compact size of this powerful device is very deceptive. Power it up (via an explorer) and you immediately have a powerful head torch, so bright in fact that we even used the supplied stretch hanger and it illuminated the entire tent! Very flexible in use with the supplied stretch cord, so wear it, hang it, dangle it, do whatever, but it is seriously bright! Amazingly powerful and belies its tiny size." Picture and words courtesy of A.B. - professional broadcasting engineer. Original story from www.powertraveller.com. iT7x Headphones - A premier league audio experience! Not content with kicking off his boots and taking it easy, former English Premier League Footballer, Ian Taylor has been working alongside BlueChipWorld to launch a new range of wireless audio products. Ian played for Aston Villa, Derby County, Sheffield Wednesday and Port Vale with a total of 478 appearances and 79 career goals. His high standards have been adopted to the development of each superb product in the new iT7 range of premium Bluetooth headphones - in stock now at Peak Development. Each product in the iT7 range is powered by the very latest Bluetooth, stereo audio technology from CSR, a world leader in platform solutions for wireless audio connectivity. This means that you will listen to a crisp, clean, richer and fuller musical reproduction on a robust Bluetooth platform. From car pricing to patient care to restaurant point of sale, the Socket SoMo 650 Handheld computer has been succesfully deployed into so many varied markets, that the good people at Socket Mobile have compiled a list of more than 100 software developers and their application for the device. Peak are pleased to have worked with several of the developers on the list including Kodit Database and Kairos Systems. If you're a developer, writing applications for mobile handheld computer platforms then we'd love the opportunity to tell you more about the Socket SoMo 650 and the wide range of Socket branded data collection accessories that are available for it. And with Socket's €20 Rebate offer now extended until the end of June 2012, there's even more reason to get in touch. OFFER EXTENDED UNTIL THE END OF JUNE 2012: Increase productivity for mobile workers, improve visibilty in the field, and automate manual processes anywhere with the Socket Somo 650. From now until the end of May 2012, Socket Mobile are offering a €20 instant rebate on all SoMo 650 models. The Socket SoMo 650 is a durable handheld computer packed with power and speed to provide reliable performance in demanding business applications. It's the ideal replacement for the HP iPAQ 210 series Pocket PC. Our friends over at Powertraveller Ltd have proudly announced a second Queen's Award win! Their 2012 award is for International Trade - presented to companies who have shown outstanding achievement in international trade, resulting in substantial growth in overseas earnings and in commercial success, sustained over not less than three years. CEO Jerry Ranger said, "We are thrilled to have won a second Queen's Award. By identifying a real requirement in the outdoor & adventure market and using feedback from our customers, we have developed innovative, performance-rich chargers that have made portable power a category in its own right within this market sector. Over the last three years, we have used our knowledge and expertise to grow our distribution network and our products are now available in over 35 countries." Since 2009, Powertraveller's overseas trading has grown by almost 100%, resulting in the 2012 Queen's Award win for International Trade. Find out more about Powertraveller products - including new lines like the Powermonkey Discovery, Powermonkey Extreme and Solarmonkey Adventurer, by browsing our Power Catagory. Socket Mobile, the leading provider of Mobile Productivity solutions is celebrating 20 years of innovation. The company started as Socket Communications with the vision of a mobile workforce that could collect, access, and communicate data in any mobile work environment. Since then, they have remained at the forefront of mobile technology from introducing the world’s first PCMCIA network card to co-inventing the CompactFlash I/O standard and helping to define the Bluetooth and SD I/O standards. At Peak Development we work closely with our partner companies to realise a broad range of solutions based on the Socket Mobile computing and data collection hardware that we supply. The recent trial of Kairos Audit Manager, an audit management solution by Kairos Systems running on a Socket Mobile SoMo Handheld Computer, has proven so succesful that a Case Study has been compiled by Socket Mobile. One for the technically minded: SanDisk today announced it has developed the world's smallest 128 gigabit (Gb) NAND flash memory chip currently in production. The semiconductor device can store 128 billion individual bits of information on a single silicon die 170mm squared - an area smaller than that covered by a U.S. penny. SanDisk built the 128Gb NAND flash memory chip on the company's industry-leading 19 nanometer (nm) process technology. A nanometer measures one-billionth of a meter, meaning that 19nm circuit lines are so small that about 3,000 of them could fit across the width of a human hair. The chip also employs SanDisk's three-bit per cell (X3) technology that allows the company to build NAND flash memory products with the ability to read and write three bits of information in each memory cell. The use of NAND flash memory in high tech equipment like SmartPhones, Tablets and Solid State Drives (SSDs) allows advances in the full function, small form factor devices that are highly valued by consumers. Shrinking the size of NAND flash memory allows smaller, more powerful computing, communications and consumer electronics devices to be built while keeping costs low. Socket Mobile have today announced the upcoming availability of the Socket Mobile Bluetooth Cordless Hand Scanner (CHS) 7Ci, a low-cost barcode scanner for the Apple iPad, iPhone and iPod touch. The CHS 7Ci expands upon Socket Mobile’s popular CHS Series 7 line of barcode scanners by providing an affordable option for reading 1D barcodes into Apple devices and is also backed by an optional Software Development Kit (SDK). The Socket CHS 7Ci is a 1D image-based barcode reader that can decode both printed barcodes and barcodes displayed on device screens. It features a special authentication chip to enable two-way communications with Apple devices, making SDK support for Apple iOS possible. 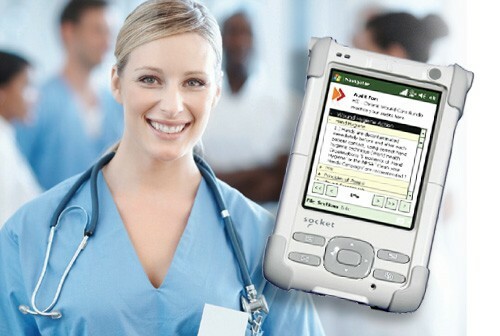 Socket Mobile today anounced the upcoming availability of the SoMo 655, a durable handheld device that enables mobile professionals to efficiently collect, document and access mission-critival business data in a wide rage of applications. The small yet powerful device expands upon Socket Mobile’s award-winning SoMo 650 line of handheld devices and affirms the company’s dedication to the handheld device space by addressing the increasing demands of mobile professionals. For studio and landscape photographers that value resolution over speed, the newly anounced Nikon D800 and D800E make a very attractive proposition. One thing is for sure, with an astonishing 36.3MP sensor generating a 76.5MB NEF file and support for Full 1080p HD Video, this cameras output is going to need a substantial memory card. With both a SecureDigital and CompactFlash card slot, the D800 supports both UHS-1 (for SD/SDHC and SDXC) and UDMA (for CF) standards, making choosing the right memory card essential. SANDISK EXTREME PRO SDHC. Available in capacities up to 64GB, this UHS-1 compatible, 95MB/s WRITE speed card raises the bar for speed and performance. 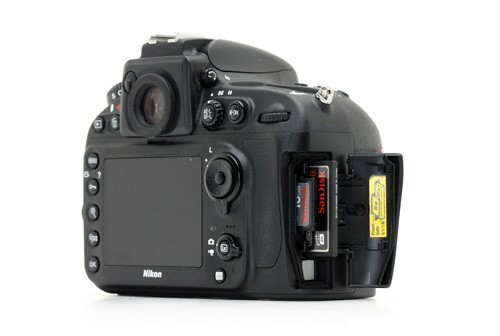 If shooting continous bursts is important, this is the ultimate SecureDigital card for the D800. SANDISK EXTREME SDHC / SDXC. Later this month, this UHS-1 compatible 45MB/s WRITE Speed card will be available in a 128GB capacity. If shooting a large number of images on a single card is important, choose this card. SANDISK EXTREME PRO CF. This monster of a card supports capacities up to 128GB and WRITE Speeds up to 100MB/s and UDMA 7 (128GB only). In the opion of this writer, it's the ultimate card for the D800 and probably the ultimate memory card full stop. 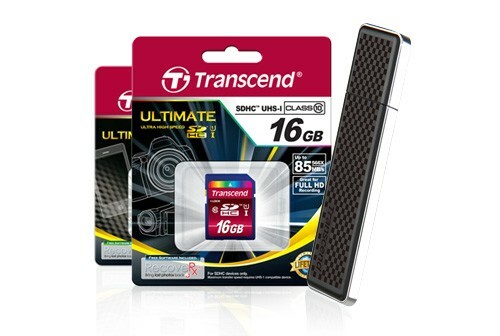 TRANSCEND SDHC CLASS 10 UHS-1. With WRITE Speeds of up to 45MB/s, this new UHS-1 card from Transcend is available in 8GB and 16GB Capacities. TRANSCEND CF 600x. With UDMA support and WRITE Speeds of up to 90MB/s this card is available in capacities up to 32GB. Those browsing the specification of the new Nikon D4 DSLR will have noticed that it has dual card slots - CompactFlash AND XQD. So what is an XQD Card? It's bigger than an SD Card, but smaller than CompactFlash and although SanDisk were involved in the development of the XQD Card, they have currently decided not to put a SanDisk branded XQD Card into production. SanDisk cite the established dominance of the CompactFlash card (which the D4 is also compatible with) and the already impressive performance available from the SanDisk Extreme PRO card range as their reasons for not developing the card further. Here's the official SanDisk response. "SanDisk, Sony, and Nikon announced in late 2010 a proposal to standardise a new format within the CompactFlash Association (CFA) as an option for higher performance media for professional imaging/video applications. 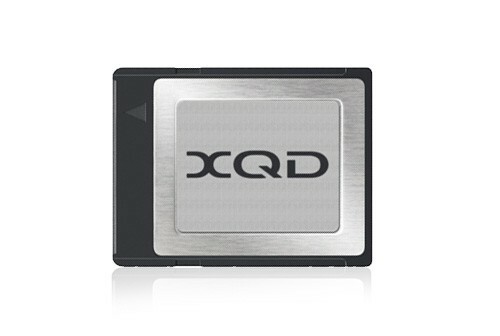 The CompactFlash Association recently announced that the XQD specification has been adopted as a CFA standard. SanDisk participates in many standards bodies and has contributed to a variety of new standards that allow for options in the marketplace. At this time, SanDisk has chosen not to productize the XQD format." Some fascinating facts have been creeping out of the Facebook filing cabinet this week including the amazing statistic that (in the US at least) Facebook.com is responsible for 1 in every 5 pageviews. It doesn't stop there. The site is currently seeing 845 million users every month, half of whom are mobile users. And as for Mr. Zuck? He still owns 28 percent of the company which is expected to be valued at between $75 and $100 billion dollars. 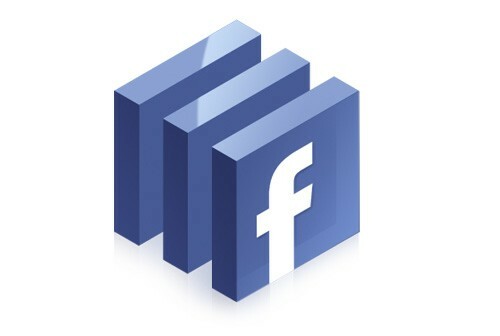 Facebook now stores over 100 Petabytes of photos and videos uplodaed by over 845 million users. To put that in perspective, thats 100 million Gigabytes or if you like 100 qaudrillion bytes. Transcend have anounced several new products including a new 32GB MicroSDHC Class 10 Card a new High Speed USB Flash Drive and tbeir first SDHC Class 10 UHS-1 Card. Transcend have also anounced the phased introduction of eco-friendly packaging into their CF133 products which will shortly feature paperboard style packaging rather than the current clear blister packs. TRANSCEND 32GB MICROSDHC CLASS 10. This new high capacity addition to the curent range is ideal for 1080p HD Video recording as well as high megapixel photography. These cards can also be used in powerful smartphones and tablets to increase their overall storage capacity and reduce delays when accessing data on the card. TRANSCEND JF780 USB 3.0 FLASH DRIVE. This extremely fast USB 3.0 flash drive offers read speeds of up to 140MB/s and write speeds of up to 40MB/s (16GB). Even when used in a USB 2.0 slot, this new drive will still deliver impressive read/write speeds of up to 32MB/s. The drive utilises the latest DDR MLC Flash to make it one of the fasted drives currently on the market. TRANSCEND SDHC CLASS 10 UHS-1. This new High Speed card will work in any SDHC or SDXC device but will offer faster performance when used with devices that support the new UHS-1 standard - such as the Nikon D5100, D7000 and Sony A77 cameras. It's a great card for performance photography and with read speeds of up to 85MB/s and write speeds of up to 45MB/s it is up to 4x faster than the existing Transcend SDHC Class 10 Card. Our friends over at SanDisk have been busy at this year's International CES 2012, anouncing new high capacity additions to their UHS-1 Extreme lineup, new devlopements in their Ultra iNAND embedded range and winning a Design and Engineering award for their new Memory Vault Product. See the news stories below for more information. SANDISK INTRODUCES WORLD'S FASTEST 128GB SDXC CARD At International CES 2012, SanDisk have announced the introduction of 64GB and 128GB capacities to their UHS-1 SanDisk Extreme range of cards. 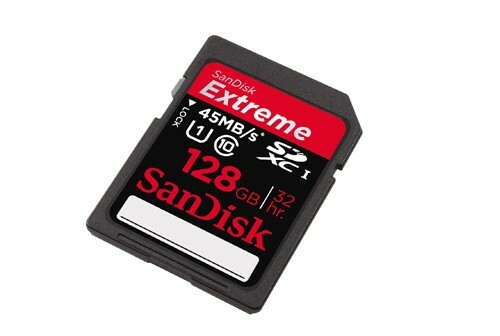 The new SanDisk Extreme 128GB UHS-1 Card will be officially the fastest 128GB SDXC currently available, allowing up to 10 hours of Full HD 3D video recording. INAND ULTRA EMBEDDED MEMORY At International CES 2012, SanDisk have announced that the iNAND Ultra line of products will be the first of its emdedded flash memory products to move to 19 nanometer (nm) manufacturing technology, the industry's most advanced chip making process. Shrinking the size of the electronic circuitry allows equipent makers to develop products with larger storage capacities. SANDISK MEMORY VAULT WINS CES INNOVATIONS AWARD At International CES 2012, the SanDisk Memory Vault was named a CES Innovations 2012 Design and Engineering Award Honoree within the Digital Imaging catagory. The SanDisk Memory Vault utilizes SanDisk's proprietry Chronolock technology to provide users with a digital memory vault that's tested to preserve their precous photos in their original quality, for up to 100 years. 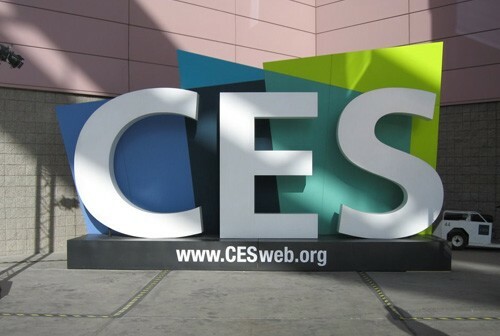 Peak’s Managing Director, Robert Baseley and new Product Manager, Norman Bruce will be heading out to the 2012 International CES (CES) which starts in Las Vegas, Nevada, USA next week. The International CES is the world’s largest tradeshow for consumer technology and North America’s largest annual tradeshow of any kind. Since 1967 the show has proven time and time again to be the place where the Consumer Electronics industry debuts new innovation – from the VCR in 1970, to the Camcorder in 1981 and 3D HDTV in 2009. Robert and Norman will be on the lookout for new emerging brands and exciting product innovations to add to Peak’s expanding product portfolio. If you’re attending the show and haven’t already made contact get in touch. 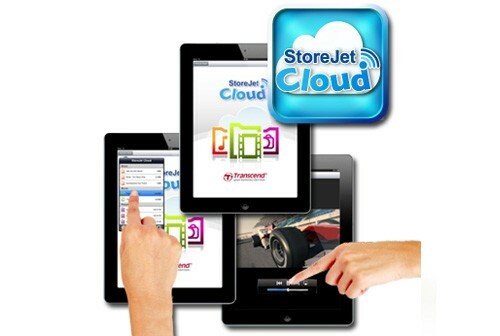 Expected this month from Transcend is StoreJet Cloud. A new portable wireless drive that will enable iOS users and users of other mobile devices to connect wirelessly to either 32GB or 64GB of additional storage. Up to 5 devices can stream various media from StoreJet Cloud at the same time, letting everyone choose whatever they want to view, read, watch, or listen to. Users access media through StoreJet Cloud’s dedicated wireless network, so you can wave goodbye to the limited share options, ongoing expense, and coverage demands of Internet storage. With the advantage of physically storing files with flash-based technology, StoreJet Cloud can provide a further 28 hours of DVD quality movies or 16,000 songs in a compact and lightweight design. This is in addition to over six hours of continuous playback with its rechargeable Li-polymer battery. Our Breffo Spider Tablet and Spider Podium products get a very positive mention in the February issue of GQ Magazine, available now! GQ loved the "amazing" Spider Podium whilst the original Spider Tablet is described as "genius". Both products are commended for folding flat, making them "perfect for travel". The magazine even liked the fact that the products are made in the UK! For more information, click HERE or contact your Peak Development account manager on 01489 796979. There are just days to go until the Society of Wedding and Portrait Photographer's (SWPP) convention at the Novotel London West, Hammersmith. 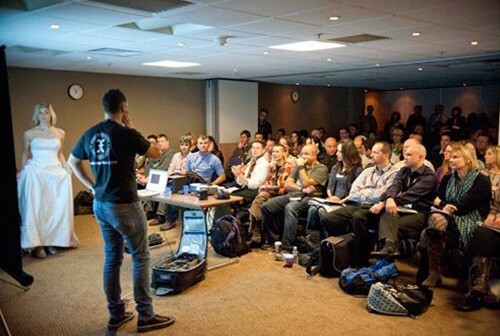 The SWPP is the fastest growing worldwide association for professional photographers and the annnual convention is always a great way to meet both professional photographers and the photographic trade. The seminar part of the event runs from Tuesday the 10th through to Monday the 16th of January. There are also three days of Trade Shows from Friday the 13th through to Sunday the 15th of January, culmating in the Societies Awards Dinner on the Sunday Evening. Stuart Humphery, from Peak's marketing team will be attending the show on the Sunday and staying into the evening for the Societies Awards Dinner. If you’re attending the show and haven’t already made contact, get in touch and arrange a meeting. 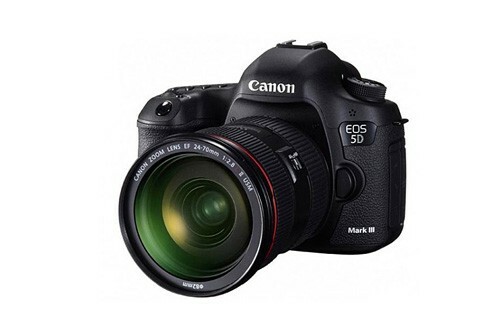 These days if you set your DSLR to RAW you probably won't get much change out of a 5MB file. That's fine in 2012 when you're using a SanDisk Extreme PRO 128GB CF Card. In 1956 however, 5MB looked a little bit different. 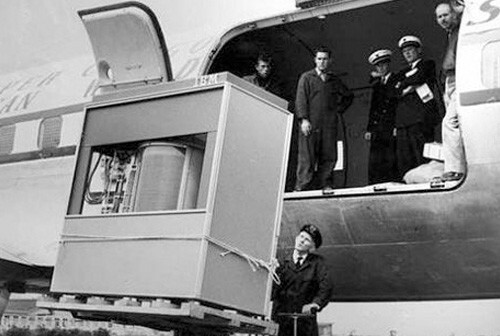 This picture shows a 5MB IBM 305 RAMAC Hard Disk drive being unloaded from a plane. It weighted nearly a ton, required a forklift truck to move it and was comprised of 50 seperate 24-inch discs that occupied some 16 square feet . The annual cost of using it was a snip at $35,000. Thanks to engadget.com for the story.